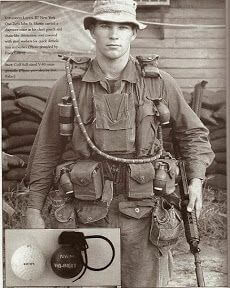 Tactical chest rigs were first used during the Vietnam War. From that point on, they became popular and widely used by most nations during heavy combat. During the African Civil Wars between 1970s and 1980s, chest rigs were commonly used by the military and civilians as well to carry water, magazines, tools and extra ammunition. In this modern era, there are many types of chest rigs available in the market. Choosing the best type of chest rig which is lightweight and compact can become a challenging task. This is why it’s important to familiarize yourself with the different types of chest rigs. Get to know their different functions so you can make an informed decision. This article will therefore guide you on how to choose the best chest rig. We will review some of the best chest carriers available in the market. Numerous webbing and large pouches which can accommodate M4, G36 and AK47 magazines. The shoulder straps found in this high-end chest rig are padded and have a mesh lining for comfort and breathability. The pouches have a total area of 8×20.5 inches while the internal document pouch has an area of 7×10 inches. There are four rows of webbings on each side to allow addition of extra pouches when needed. Click here for more reviews and current price. The Condor MCR5 Chest Rig has been designed with heavy duty stitching and nylon material which is able to endure rough environments. This tactical chest rig comes with multiple mag pockets and attachment points to store extra ammo. The chest rig fits well and the straps are well padded to reduce pressure when carrying heavy tools, mags or pistols. Some customers have complained about the Velcro enclosures in the pouches stating that it’s too noisy when opening. Some sections of the MOLLE ladders are a bit tight and hard to attach especially when you’re in a hurry. 6 built-in M4 and M16 magazine pouches. 3 rows of MOLLE webbing for additional pouches across the front of the vest. Padded shoulder straps for extra comfort and convenience. Additional mesh pockets at the back for storing documents, maps and extra magazines as well as a light weight feature which enables you traverse with the vest without any hassles. The cross-back shoulder straps of the Rapid Assault Chest Rig come with webbings and D-rings and have a swivel release buckle which helps you remove the gear easily in case of an emergency. The Rapid Assault Chest Rig is reasonably priced. There is plenty of storage space in all the six pouches for M4 and M16 magazines. The vest is very light and offers a quick access to all your tools and ammunition. This chest rig vest is made of heavy weight nylon material which holds your tools tightly into place. The adjustable straps allow every type of user to easily use the vest comfortably. High durable nylon fabric and a compact design which makes you comfortable while in the battle field. The VISM AK Chest Rig also comes with a padded cross-back shoulder strap which distributes the weight evenly. Although the ammo carriers are un-detachable, they are placed in a perfect position which gives you a hassle free experience when pulling out your weapons. 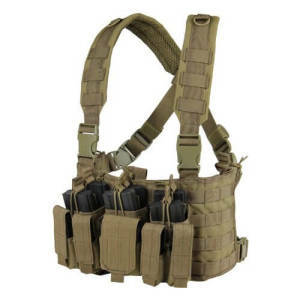 This tactical chest rig is available in small, medium and large sizes and is reasonably priced to all types of buyers. The VISM AK Chest Rig is available in the market at a very cheap price for all types of users. The vest is adjustable and compact enough to fit both slim and heavy build users. The vest is bulky and comes with multiple pouches to store more mags, documents and extra gear. The unpadded design of the straps is an added advantage to most users as it enables you to carry a backpack without any hassles. This tactical chest rig is mostly designed to work well with slim and light users and not heavy people. The front side of this combat chest rig doesn’t have a MOLLE attachment. Although the pouches are able to accommodate both M4 and M16 mags, trying to fit the mags into the pouches is a real hassle. Tactical chest rigs have been designed with a sturdy and durable nylon material which makes the vest versatile and compact. All combat chest rigs also come with a universal one-size-fit all with straps which easily accommodate all L, XL and XXL users. If you like a small chest rig you should check our review here. One thing which makes military tactical vests the best to use during combat is the fact that they can be used in-conjunction with other tactical attachments such as plate carriers and tactical vests. Another advantage which comes with this military gear is that you can easily customize them through adding additional pouches on the webbings as well as front/back pouches through attaching them on the provided Velcro attachments. After reviewing three of the best military tactical pouches, the Rapid Assault Chest Rig was the best in the category. What really makes this tactical gear the best in the category is its compact design, multiple pouches and MOLLE webbings which allows you to add more pouches to suit your needs. It also comes with padded shoulder straps, additional mesh pockets to store extra magazines, maps and documents as well as a light weight which helps you traverse without any hassles. Second in the category, we have the Condor MCR5 Chest Rig which is designed with a kangaroo style and is able to accommodate six pistol mags. Among the features you’re likely to find in this tactical vest rig include; padded D-rings and clips for a hassle free attachment, a simplified design which allows an AR/Pistol combination, adjustable straps, numerous webbings and large pouches which can accommodate M4, G36 and AK47 magazines. Last in the list, we have the VISM AK Chest Rig which has been welcomed with positive feedback from over 170 Amazon customers. It features six pistol mags, three double AK mag pouches, two additional gear pouches and a compact design which keeps you comfortable while in the battle field. This unit is also very cheap and highly affordable to low profiled users or those looking for a cheaper alternative. Whether you wish to purchase the VISM AK Chest Rig or the Rapid Assault Chest Rig, note that all the above tactical vests are very important when it comes to carrying extra ammo. They ensure that the job is done well regardless of the type of environment they’re used in. With this being said, it’s important that you order a chest carrier now which you believe will have your job done faster and more efficient. What is a tactical chest rig? A tactical chest rig is a handy equipment designed for military personnel. Its main use is to store additional tools and accessories such as magazines, bottles of water, a radio and extra weapons such as pistols. 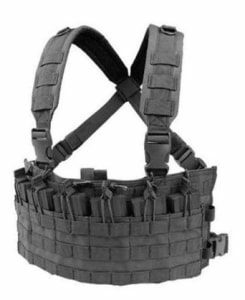 Combat chest rigs are also viable alternatives to heavy weight carriers and can be used in heavy shootout environments due to their light weight and compact designs. There is a big difference between chest rigs and plate carriers. While combat chest rigs are designed to carry ammo and bottles of water, tactical plate carriers are designed to carry armor. They come with different types of plates (hard and soft) which are placed at the chest and at the back to offer protection when engaged in a heavy shootout scenario. Some military personnel may decide to wear chest rig vests on top of plate carriers if extra protection is needed. The two are compatible and can easily be used together where the plate carrier will protect you from enemy bullets while the combat chest rig will offer sufficient space for storage of extra ammo, medicine and bottles of water. On the other hand, tactical vests are designed to function both as plate carriers and tactical rigs at the same time. They provide the user with complete coverage of the torso, lower back and shoulders while still offering enough space to keep your ammo, radio, medicine and water. What makes tactical vests less considered than combat chest rigs is their heavy weight and expensive prices. Why are tactical chest rigs used? Their light weight is a major advantage as they help solders carry their military kits effortlessly, fast and efficiently without messing up. Apart from being used by the military, tactical chest rigs are widely used by medics and people who perform a hobby like airsoft or paintball, who don’t wish to keep their tools in their pockets. Chest rigs offer vast room to carry more tools effortlessly and ensure that everything is readily available in case of an emergency or prompt deployment. There are lots of factors which you need to consider when purchasing a combat chest rig. While there are many types and brands available in the market, it’s important to choose a chest rig vest which will give you maximum comfort and security for your personal needs. First of all, it’s important to select a military tactical vest which is generously-sized and comes with enough pouches. Most of the best chest rigs available in the market come with webbed MOLLE spaces. This is to allow users attach extra pouches for your ammo, water bottles and medical kits if needed. A reliable chest rig should be made from nylon material and should hold at least 12 mags and one First Aid Kit pouch for extra security. When choosing the best chest rig, it’s important to make no compromise when it comes to safety. Although military chest rigs are designed to carry ammo, they should also come with a fast-push-button. This allows you to remove the gear instantly in case of an emergency. Something else to consider when choosing the best combat chest rig is comfort and durability. 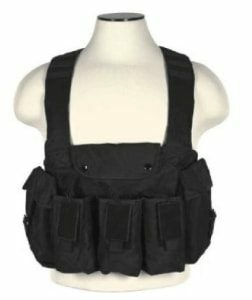 Chest rigs with double padded shoulder straps are more durable and comfortable to use as they help reduce the pressure when carrying heavy tools or ammo. Although tactical vest rigs do not make you sweat like plate carriers and tactical vests do, choosing a military vest rig with added mesh on the back is another added advantage to keep you comfortable throughout your mission.